In wildfire prevention and suppression it is of utmost importance counting with a precise information about the vegetation fuels. At Tecnosylva we provide several solutions that integrate multiple data sources and technologies for the development of high precision cartography. 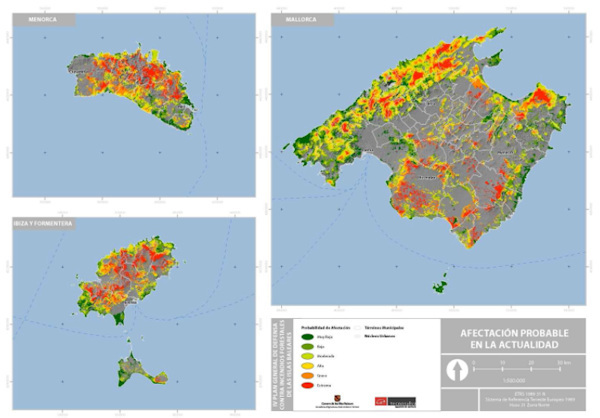 These maps are used to quantify and to model the wildfire risk as well as to evaluate the fire behaviour in the land and in urban-interface situations (WUI). We are able to identify the structure and the vertical and horizontal continuity through the use of aerial data, satellite data and LiDAR. This allows elaborating high resolution maps, necessary to evaluate the behaviour of the fire, identifying the urban affectation in the WUI. It is also critical to know the availability and the evolution of the fuels in time, to avoid that the created maps turn into a static photograph. This maps need to be used dynamically and with an objective criteria through the seasons and through the years. At Tecnosylva we count with a seamless expertise in analysing the potential behaviour of the fire. This experience is backed up by the fact that we are the developers of the most advanced wildfire forecast model on earth, encapsulated in Wildfire Analyst®, a software that supports a multitude of practical applications in the wildfire sector. The modelling methods themselves as well as the possibility of using High Performance Computing capabilities empowers us in the simulation of the fire behaviour allowing us to launch thousands and even millions of simulations in an astonishingly short time. Assessment of the efficiency of the defensive, preventive and suppression actions. 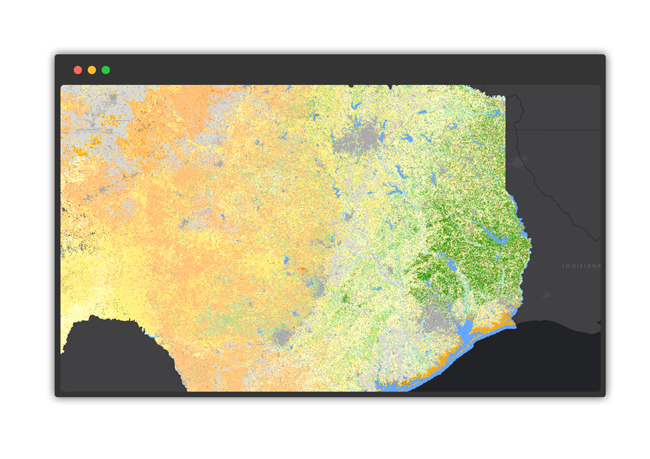 At Tecnosylva we make use of our fuel maps and fire behaviour assessment methods to evaluate the forest fire risk for different administrative boundary levels: County, region, state wide. In these assessments we carry out a multi-criteria analysis that covers all the wildfire risk parameters in a quantifiable, repeatable, scalable and defensible way. We pay special attention to the risk of vulnerable elements, such as the Wildland-Urban Interface (WUI) risk analysis or critical infrastructures (e.g. overhead power lines). 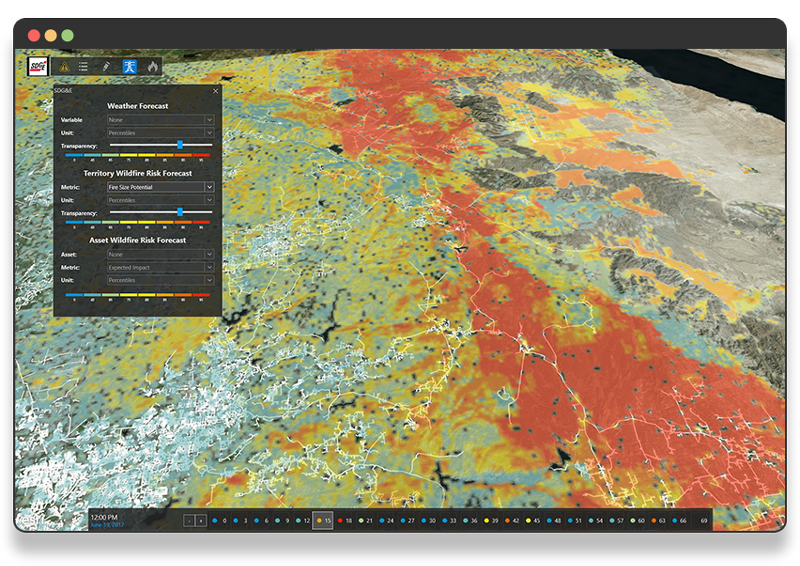 The high advanced modelling capabilities of Wildfire Analyst® API allows us to easily carry out customised assessments to provide support to the stakeholders of specific industry sectors. The increase of the forested area and the existing biomass due to the gradual abandonment of agroforestry activities has led to a significant increase of the fuel continuity, which has augmented, between other, the risk of wildfire. Some of these wildfires are much more aggressive and extensive than normal, these adopt extreme behaviours and are governed by their own conditions, demanding the existence of new solutions to mitigate the consequences of the wildfires. In Tecnosylva we apply the new technologies (GIS, remote sensing, simulators or fire behaviour) for describing and understanding the phenomenon, highlighting the knowledge of the fire behaviour, with the aim of proposing and implementing measures that ensure an efficient and safe management of wildfires. Identification of the critical points that affect the fire behaviour (pyrogeomorphometry) and propagation nodes. Emergency plans and plans for the protection of vulnerable elements (Wild-land Urban Interface, power infrastructures, transport networks).